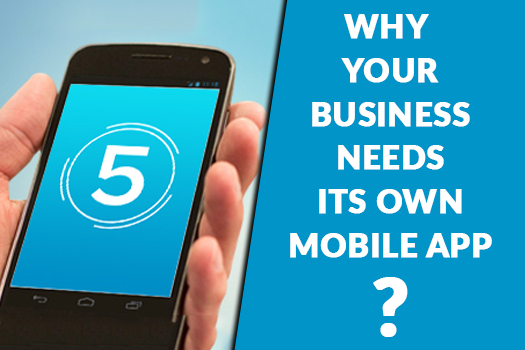 Nowadays, mobile app plays a crucial role in the marketing of a business. 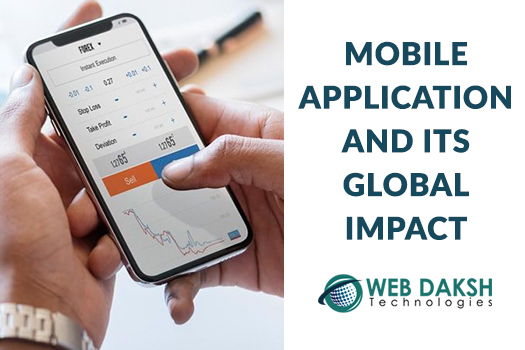 The reason behind such a drastic growth of mobile application for business is due to the rise of the smartphones and most importantly, the Internet. As the entire world is in the fingertips of an individual, the various brand organizations also need to shift their focus from offline marketing to online marketing.Majority of the population shops a ton of things by simply sitting at home in a relaxed position and swiping through the various choices placed in front of their mobile scree. 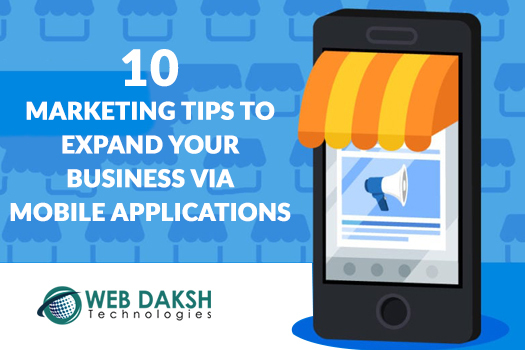 Hence, to leave your competitors behind, you must stay in trend by creating a mobile app with the help of a professional mobile app maker company and updating the same with the latest mobile app developments. It is true that artificial intelligence is not as new as it seems but the usage of the same has grown rapidly in the past few years. As per a report, by the year 2020, the Artificial Intelligence market will reach about forty billion dollar. This signifies how the AI is in vogue and everybody is trying to embed their mobile pap with the Artificial Intelligence. The importance of on-demand apps has gone to a great extent as apps likeUber, Ola, Urban Clap, etc. are very popular in today’s time period. People vehemently use these apps and that too according to their desire. It is believed that there would be more on-demand apps launched in the near future. As per a study, during 2017, the on-demand platform reached 106.83 million dollars. This shows how the on-demand apps are going to grow in the coming years. The usage of the wearable apps has also been on the rise in the recent years and now, you will see every fourth person wearing a technology-advanced wearable in his body. At present, several medical organizations have make use of wearable apps in order to check the blood sugar levels, heart rates, etc. on the go.Other related sectors have also started using such wearable apps on a day-to-day basis. But, there are inclinations that there will be a rapid growth in the usage of wearable app in the approaching years. Smartwatches and similar devices are an exact example of the wearable apps. Apart from being useful, it also enhances the beauty of a person by being a style statement. It is believed that various apps are on the verge of getting introduced which can be easily used in the Smartwatches. This means, you can make your customer stick to your brand services without the need of taking their phones out of their pocket. Chatbots are already in trend but sooner, it will be a leading mobile app trend. At present, many companies use the chatbot system where the chats are automated between the customer and the computer. Chatbots help in having a one-to-one interaction with the customers about the company’s services. The usage of chatbots reduces the efforts of human customer services to a specific extent. In addition, with the inclusion of chatbots in the mobile app, the customers feel freer to ask about their queries without dialing the customer care number and talking for way long on the phone. They can easily opt for the chatbot option and seek answers on the essential topics. Augmented Reality and Virtual Reality are in the existence to make the experience of a situation more interactive. Various reputedcompanies have already made their ways towards incorporating the Augmented Reality and Virtual Realityin the marketing of their business. According to a report, the AR and VR market will reach 209 billion dollars by the year 2022. With the rise of e-commerce, there has also been the rise of the mobile payment services. As more and more people are choosing the online system to shop or take up a service according to their needs, the importance of mobile payment has also increased in the in the meantime. That is why, it has become the most crucial part of the business to create a mobile payment system so that the customer stays engaged and feels at ease while doing payments for his services. 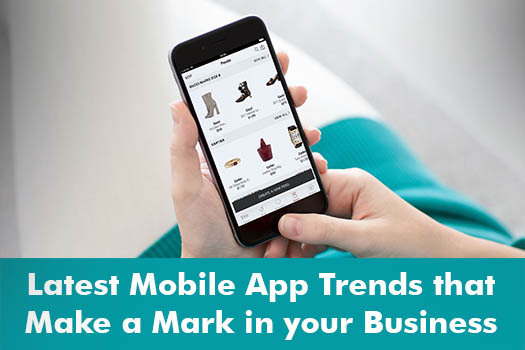 Therefore, to stay ahead of the business counterparts, it is of utmost importance that you create a mobile app for your brand by seeking help of a proficient mobile app building company and keep your app updated with all the above-stated latest mobile app trends.